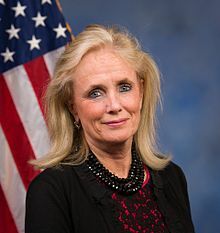 On October 12, 2017, Rep. Dingell (D-MI) introduced The Vehicle Innovation Act (H.R. 4050) which reauthorizes the DOE’s Vehicle Technologies Office, which works with manufacturers and suppliers to research, develop and deploy advanced vehicle technologies that improve energy efficiency. The bill also provides DOE with clear direction to build on successful research programs, such as the SuperTruck program that has produced a model tractor trailer with 115 percent increase in fuel efficiency. It also encourages the development of a wide array of technologies that have the potential to improve fuel efficiency and reduce traffic congestion, including V2V communications systems, mild hybrids, engine down speeding, hydrogen and natural gas refueling, and electric vehicle charging technology. The bill has been referred to the Committee on Science, Space, and Technology. On May 20, 2015, U.S. Senators Gary Peters (D-MI) and Debbie Stabenow (D-MI), along with Lamar Alexander (R-TN), introduced the bipartisan Vehicle Innovation Act (VIA) to promote investments in research and development of clean vehicle technologies that will create more fuel efficient vehicles, reduce our nation’s dependence on foreign oil and support American auto manufacturers. The Vehicle Innovation Act reauthorizes the Department of Energy’s Vehicle Technologies Program, which works with light duty automobile and medium and heavy duty commercial truck manufacturers and suppliers to conduct research and development to improve fuel efficiency in vehicles. The bill directs the Department of Energy to partner with public and private sector entities to promote technology-neutral research and investment which will include a diverse array of technologies including hybrids, battery electric vehicles and natural gas-powered vehicles, that will reduce our dependence on imported oil, support domestic research and development and grow our advanced manufacturing industry in the United States. The Vehicle Technologies Program has been operating without Congressional authorization for over seven years, and in that time, new technologies and new applications of existing technologies have been developed. The bill will encourage further research and development of technologies including mild hybrid, engine down speeding, power pack modeling and testing, advanced boosting systems, new vehicle sensing and communication, hydrogen and natural gas refueling and electric vehicle charging technology. The legislation will also give the Department of Energy critical resources to focus on near-term developments that could lead to significant fuel savings for the national fleet if widely used. The legislation authorizes $313.6 million in funding for FY2016, and a four percent increase to each year after that through 2020, providing a consistent growth in funding to keep up with emerging technologies. The Vehicle Innovation Act also includes provisions to specifically include vehicle-to-vehicle (V2V) and vehicle-to-infrastructure (V2I) communications systems, collectively referred to as V2X. V2X technology has the potential to dramatically reduce traffic accidents and traffic congestion by allowing cars to communicate with one another and recognize dangers beyond what a vehicle’s radar, cameras or other sensors can detect. The bill is supported by organizations including the Motor and Equipment Manufacturers Association (MEMA), the BlueGreen Alliance, the Auto Alliance and NTEA, the Association for the Work Truck Industry. Persons interesting in participating in the meeting must register no later than 5 pm on Wed, March 26 by emailing HTAC@nrel.gov. Foreign nationals must regiater by March 14, 2014. Those who cannot attend are invited to send written comments. Minutes of the meeting will be available for public review at http://hydrogen.energy.gov/advisory_htac.html. benefits of alternative fuels. In the Energy Independence and Security Act of 2007 (EISA), Congress directed the Secretary of Transportation to develop and implement varied and wide-ranging consumer information and education initiatives related to fuel economy, greenhouse gas, alternative fuels and thermal management technologies. NHTSA is implementing these new information and education initiatives through several different rulemakings. The proposed rule would implement specific statutory mandates that manufacturers be required to: Identify each vehicle capable of running on an alternative fuel by means of a permanent and prominent display affixed to the exterior of the vehicle; add proposed text describing the capabilities and benefits of using alternative fuels to the owners' manuals provided for alternative fuel vehicles; and identify each vehicle that is capable of running on an alternative fuel by means of a label in the fuel filler compartment. Comments must be received on or before April 21, 2014. NHTSA contact: Gregory Powell 202) 366-5206. For legal issues: Lily Smith (202) 366-2992. On October 1, 2013, at the request of the Mayor, DC Council Chairman, Phil Mendelson, introduced bill no. B20-0513 (the Alternate Fuel Vehicle Conversion Act of 2013), which proposes to ban new diesel vehicles of any kind from being registered in DC starting Jan. 1, 2018. In addition to banning diesel vehicles, the legislation would offer tax credits to persons and businesses who convert vehicles to operate on alternative fuels such as E85, natural gas, CNG, LNG, LPG, B100, electricity and hydrogen. For a copy of the bill, click here.